It’s already 1:23 AM here in the Philippines, but I’m still awake… Even though I had a long and tiring day, I’m still awake. Anyway, I was out half of the day and did an early Christmas shopping. We (I, my husband, my sister and her boyfriend) went to Divisoria in Tondo Manila. Though Christmas is still 2 months away, the place was so crowded. We arrived at there around 12:30 in the afternoon, and since it was lunch time, we ate first. We had Lomi, Pancit Bihon and a 1.5 liter of Coke. I paid Php 300 (around $6.16) for the food for 4 persons. After lunch, we headed to toy shops. I bought two lunch boxes for Php 240 ($4.93), 1 coloring set for Php 170 ($3.49), a diary Php 70 ($1.44), 3 badminton sets Php 300 ($6.16), and 12 pieces of wallet Php 100 ($2.05). Those are my gifts to my grand children and nieces. Then, we decided to go shopping for ourselves. I bought to blouses for Php 450 ($9.24). My husband bought a jacket Php 500 ($10.27). My sister got 3 shirts, a pants, 12 pieces of headband for P680 ($13.96). It took us almost 5 hours to buy those things. 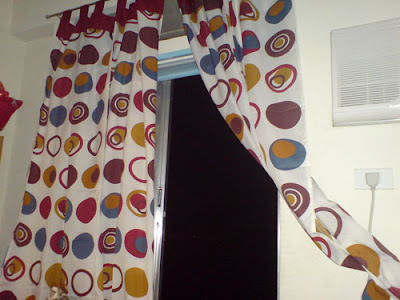 Oh, before I forget, I also bought 4 yards of clothe for our sofa and it costs Php 720 ($14.78) and 2 curtains for our bedroom window Php 200 ($4.11). When we were done, it was almost dinner time. So we stopped by at McDonalds, and had some snacks for Php 300 ($6.16). My total expense is around Php 4,300 ($88.29), that includes our fare back and forth. I converted Philippine Peso to US dollars at the rate of US$1 to Php 48.70. Not bad for a great shopping galore. I’m so very tired but still I need to stay up late just to wait for tasks.